Sikkim is the small state in India well-known for its beauty with Gangtok as its capital and home for number of colleges. Institutes with national importance and research centers of excellence are located in Sikkim. Literacy rate is high in this state. Colleges in Sikkim offer Undergraduate, Postgraduate and diploma in various fields such as Engineering, Medical, Applied Sciences, Physiotherapy Management and Nursing. The notable university in this state is Sikkim Manipal University of Technical science. Students from all over the country prefer this state to study higher courses. This university offer courses in the fields of medical, engineering and management. The courses offered by the colleges in Sikkim at degree level are BA - Bachelor of Arts, B Sc-Bachelor of Science, B.Com-Bachelor of Commerce and B. Ed Bachelor of Education. The diploma courses offered by Colleges in Sikkim in the various fields such as Mass communication, Commerce, fashion designing, Hospitality, allied Health and so on. 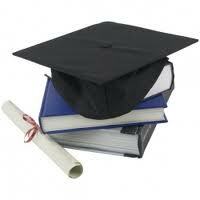 Apart from regular courses Colleges in Sikkim also offer distance learning courses. Most Colleges in Sikkim offer campus facility to the students and also have active placements cells which help students in getting jobs in reputed organizations. "Following is the list of colleges in Sikkim. All Colleges in Sikkim are divided into region wise. To view colleges in a particular region kindly select the region from the drop down list. The number of colleges in any particular region is mentioned in front of the link. If you come across any college in Sikkim which is not found from our list below, please do let us know by using add in list which is default in our website�.